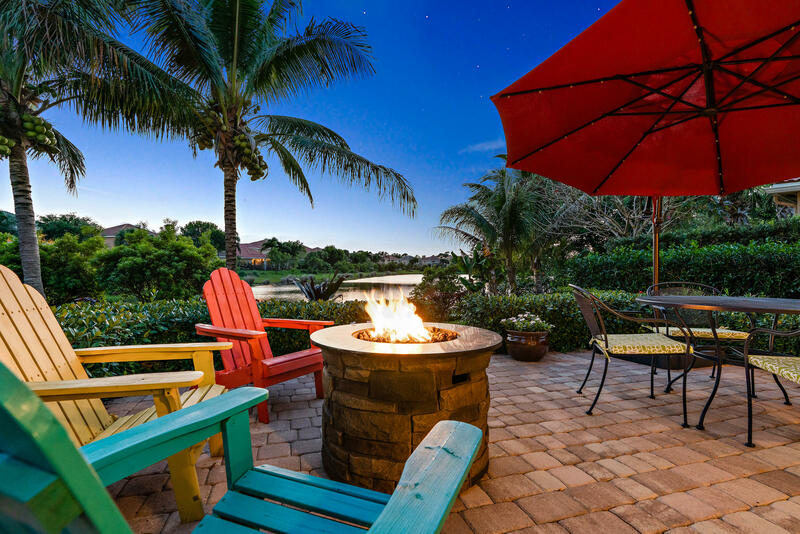 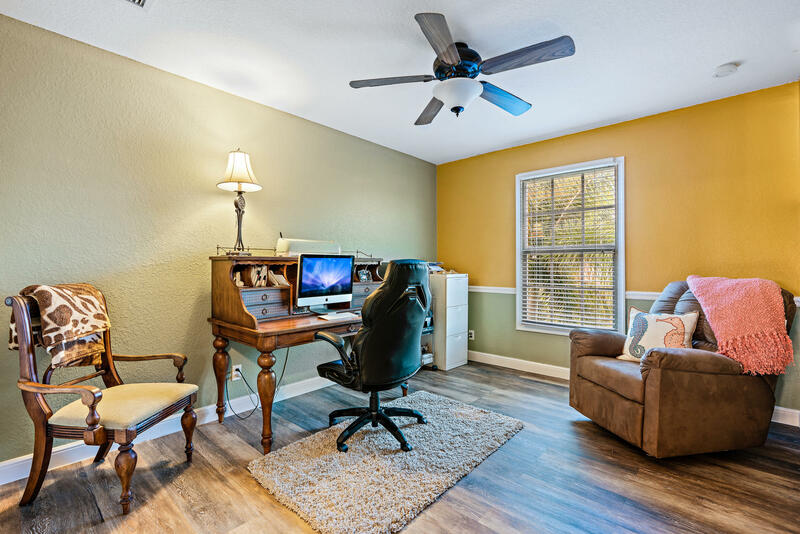 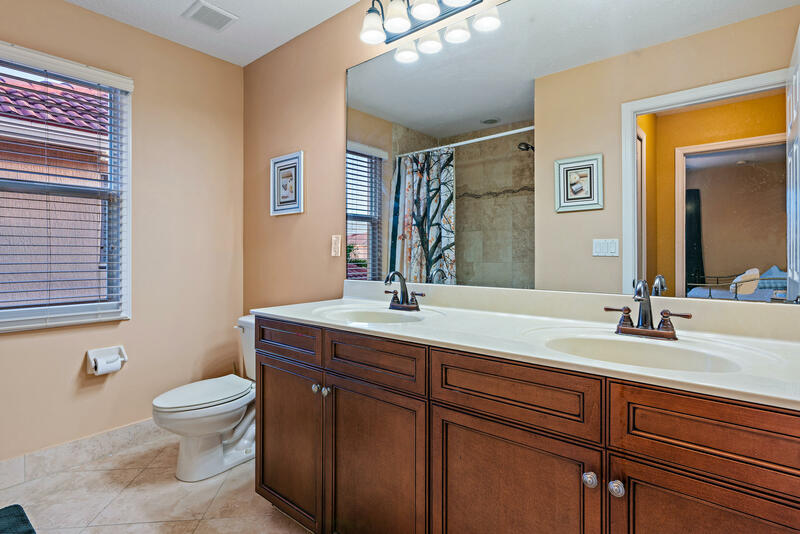 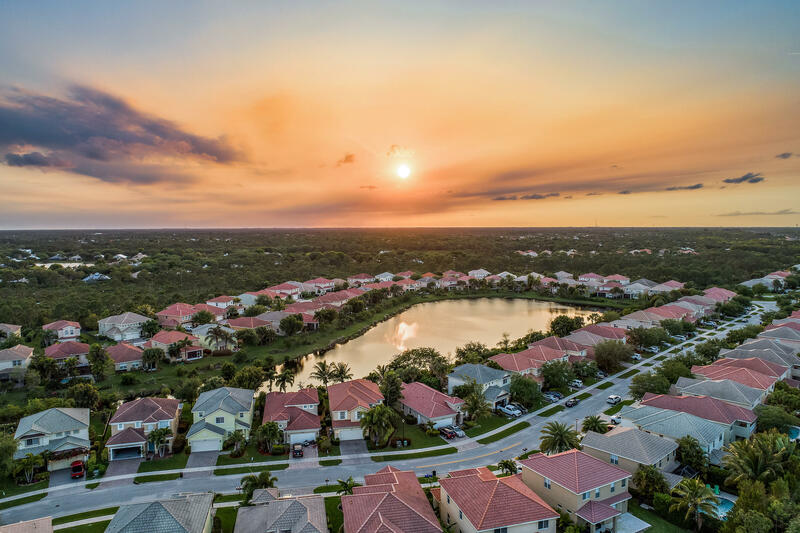 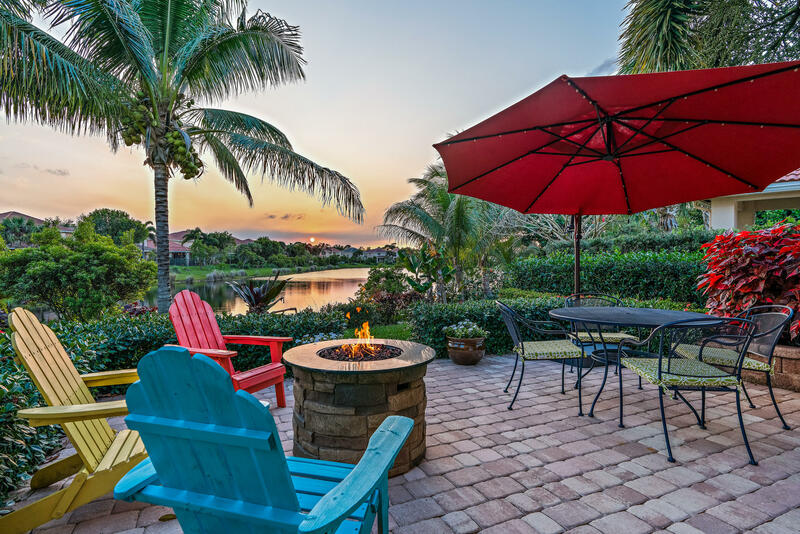 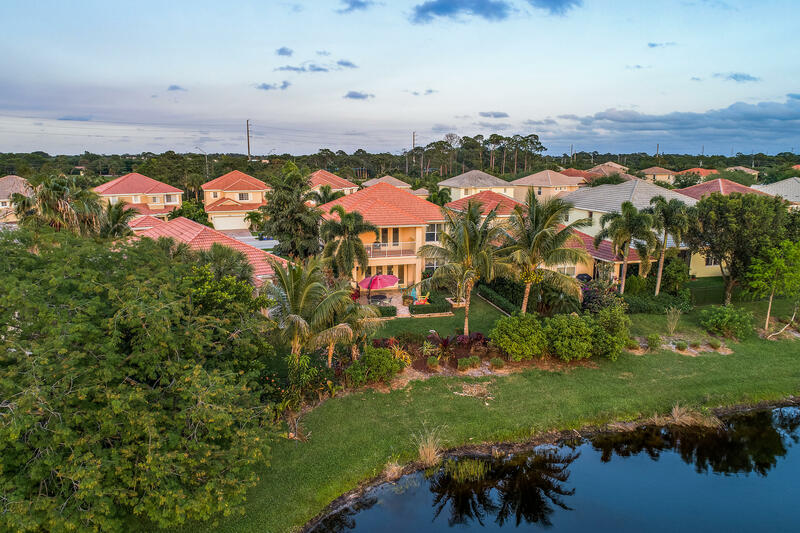 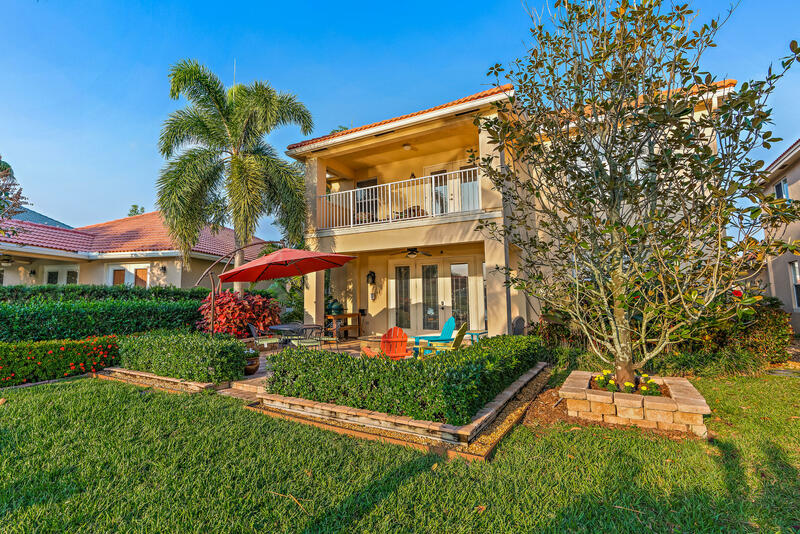 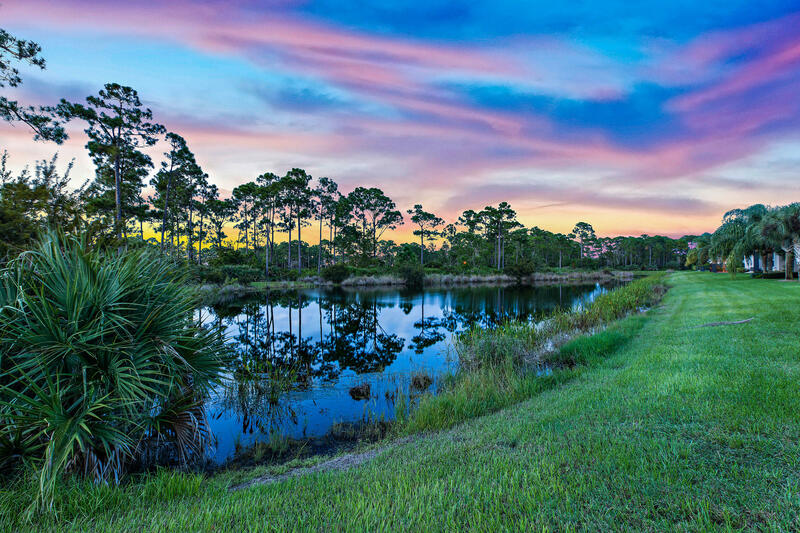 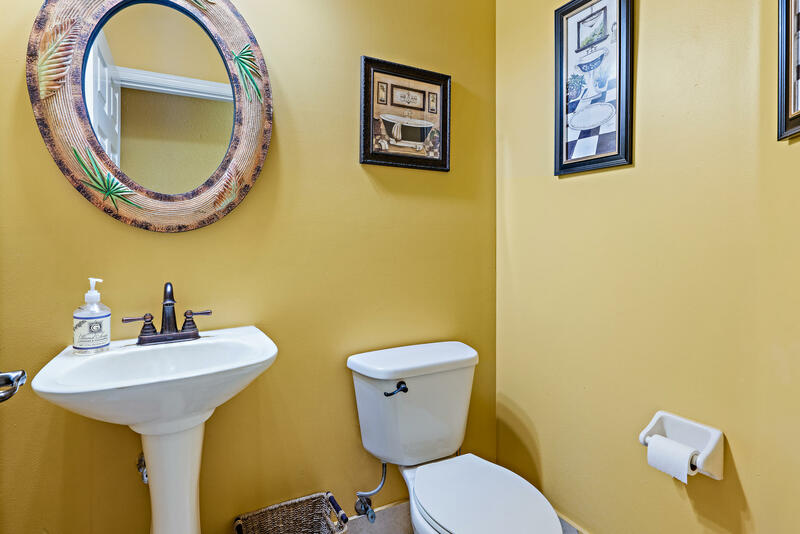 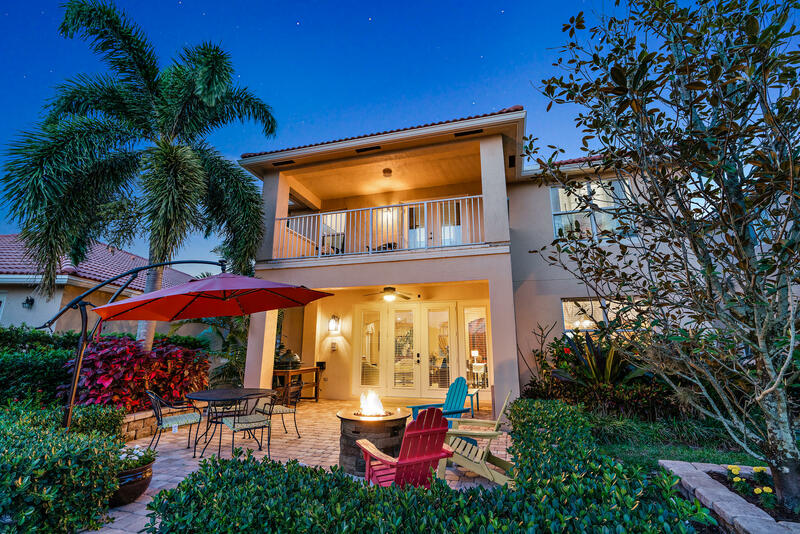 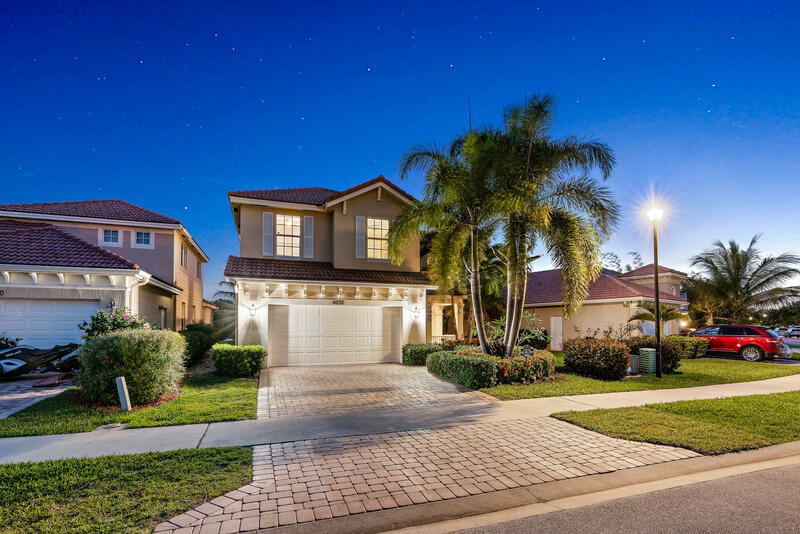 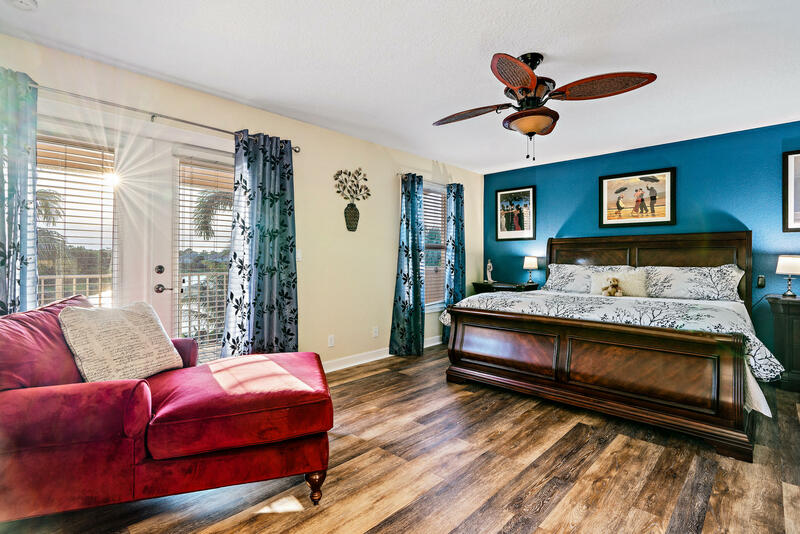 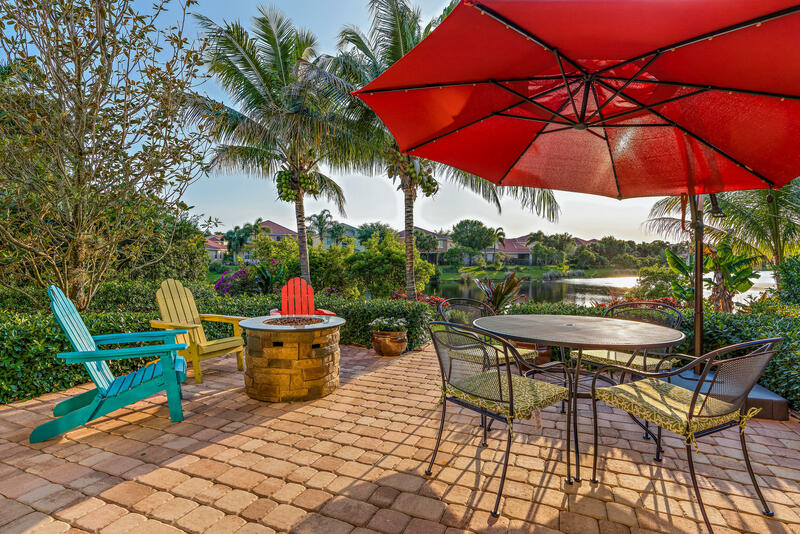 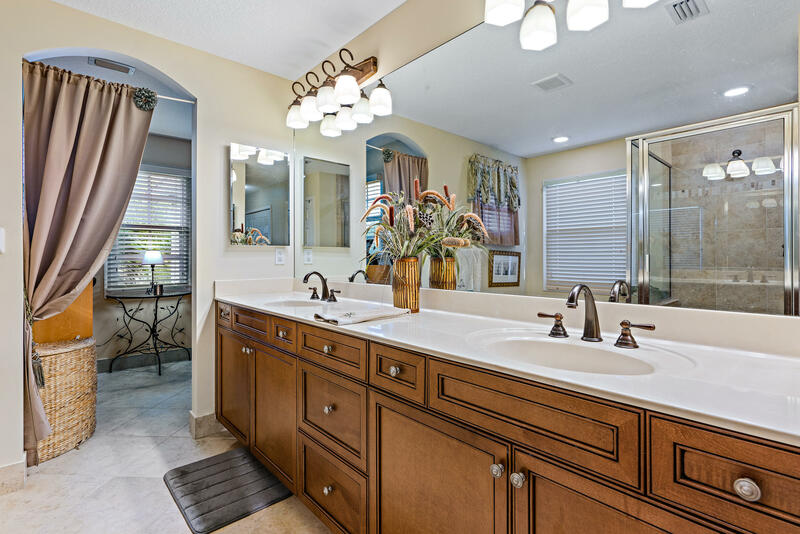 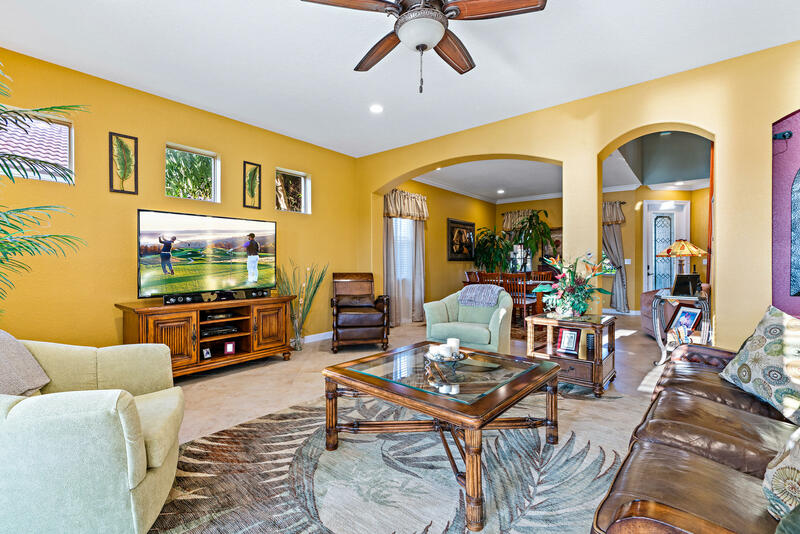 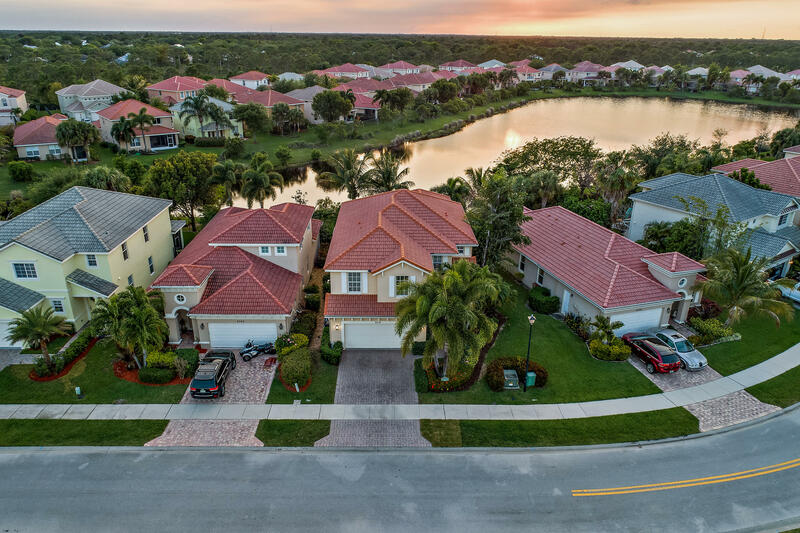 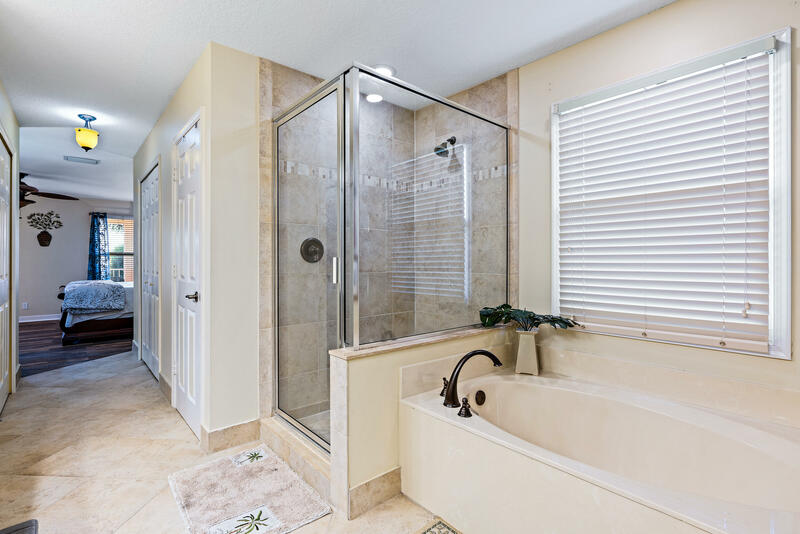 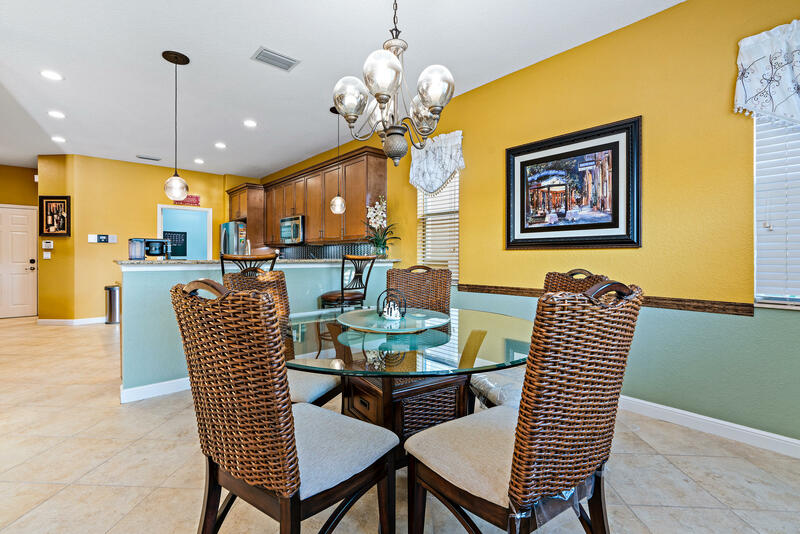 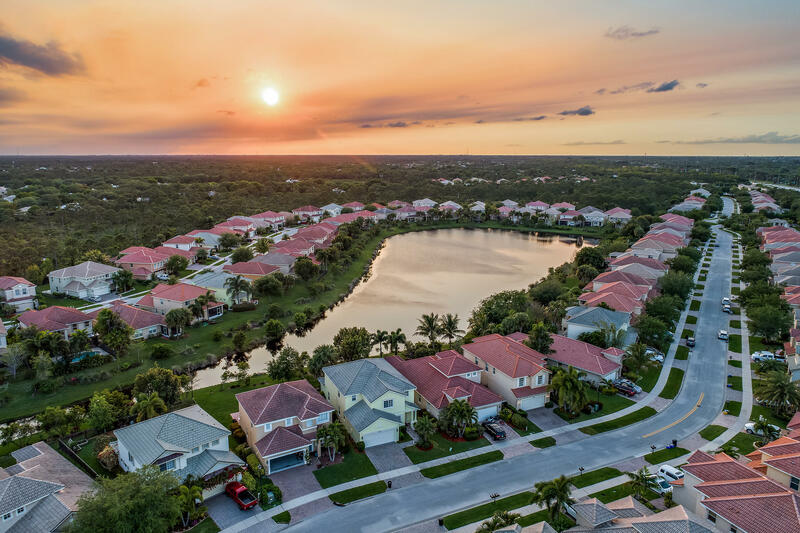 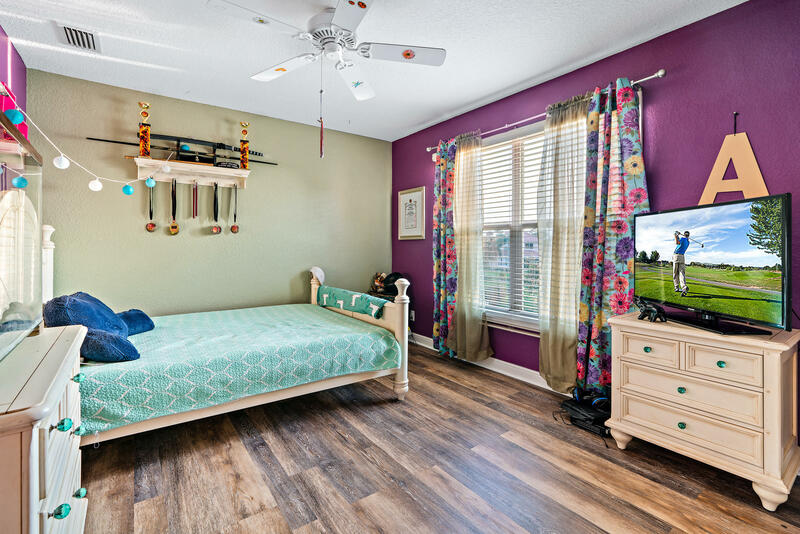 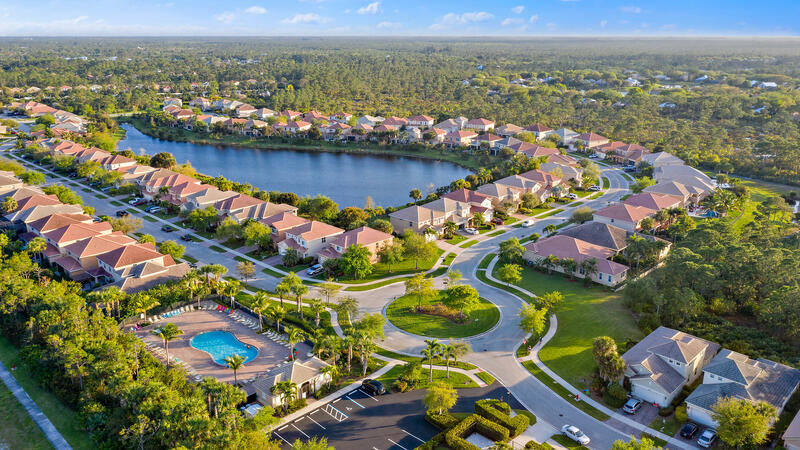 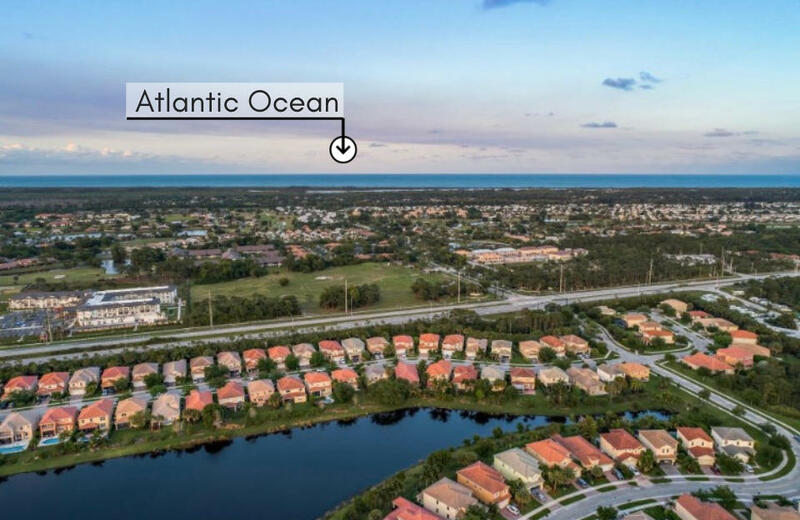 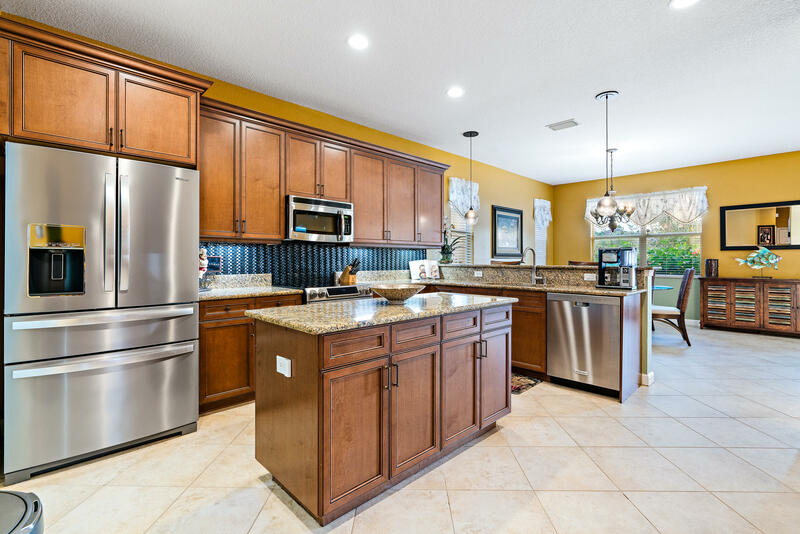 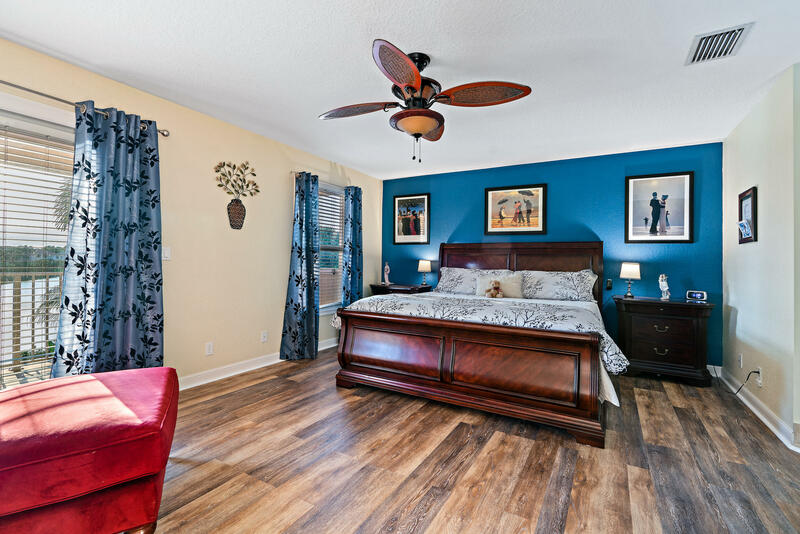 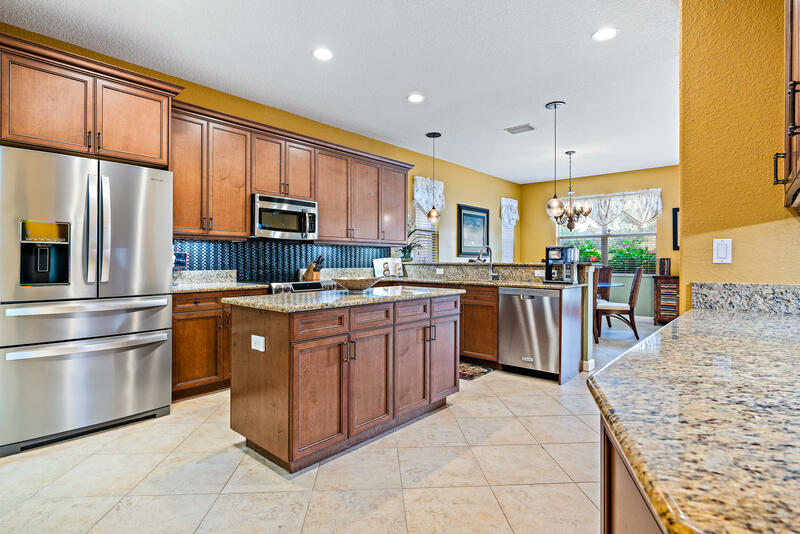 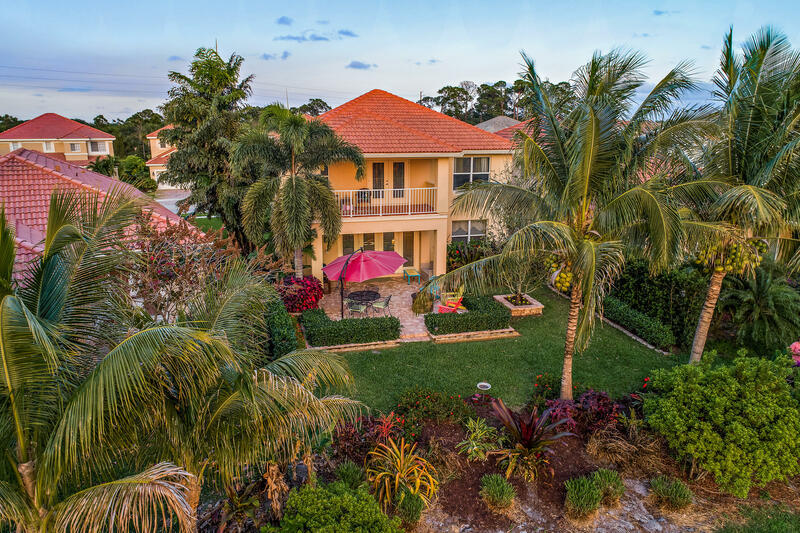 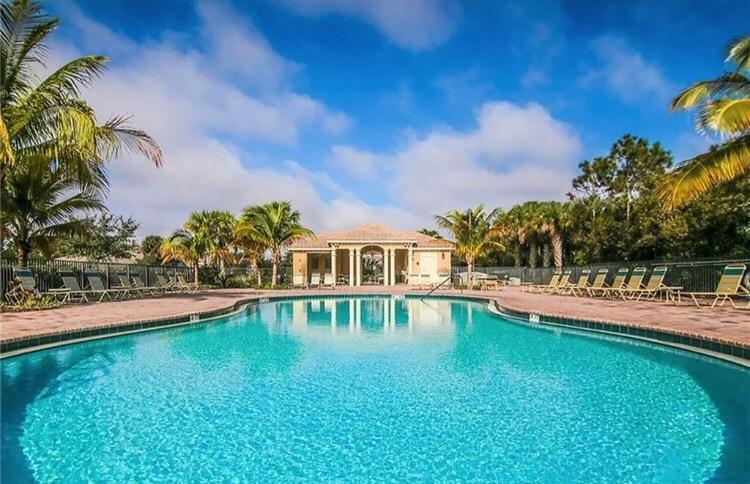 Public Remarks: STUNNING 4 bedroom, 2.5 bath home in the Oaks of Hobe Sound. 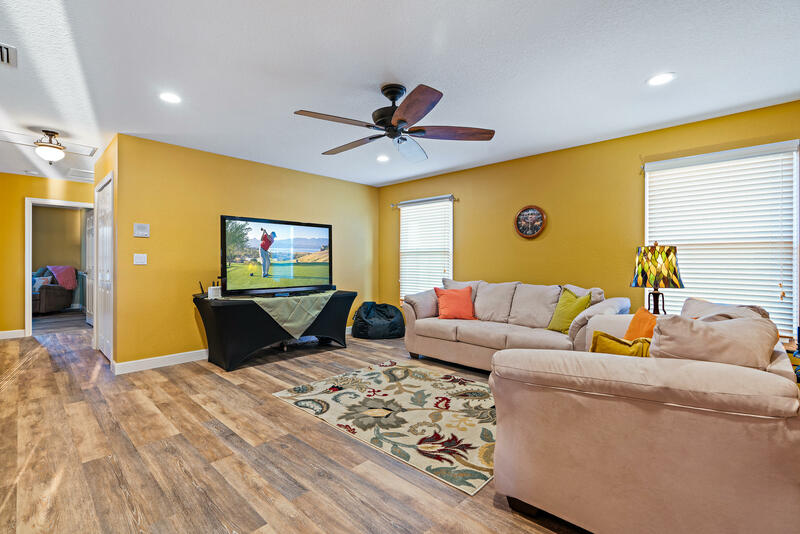 This Laguna model features a large open floor plan with 16'' tile flowing through the first first level. 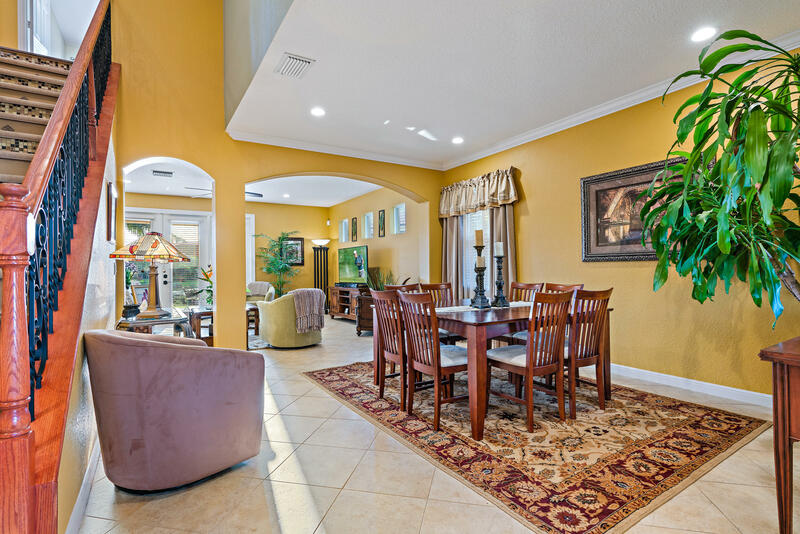 As you enter this pristine house you will immediately fall in love. 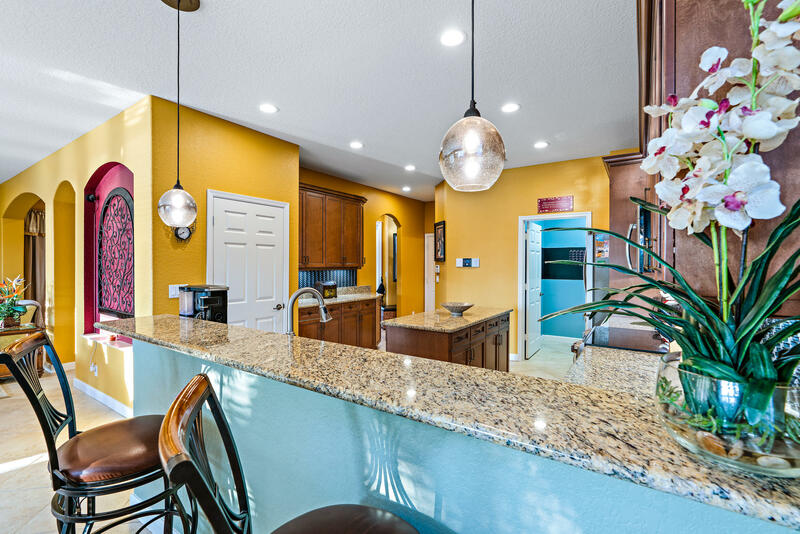 The oversized kitchen features stainless appliances with a new fridge, 42'' cabinets, granite countertops, cooks island, tile backsplash and walk -in pantry. 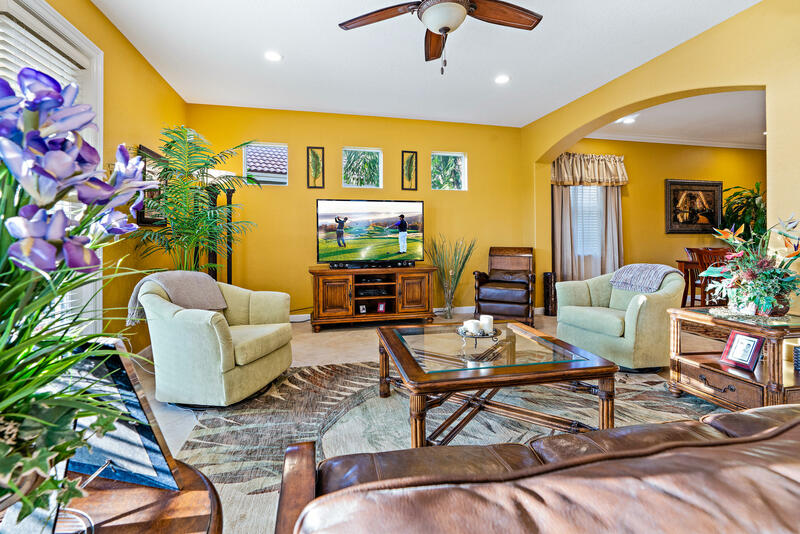 French doors lead out to the private yard, with mature landscaping & tranquil lake views. 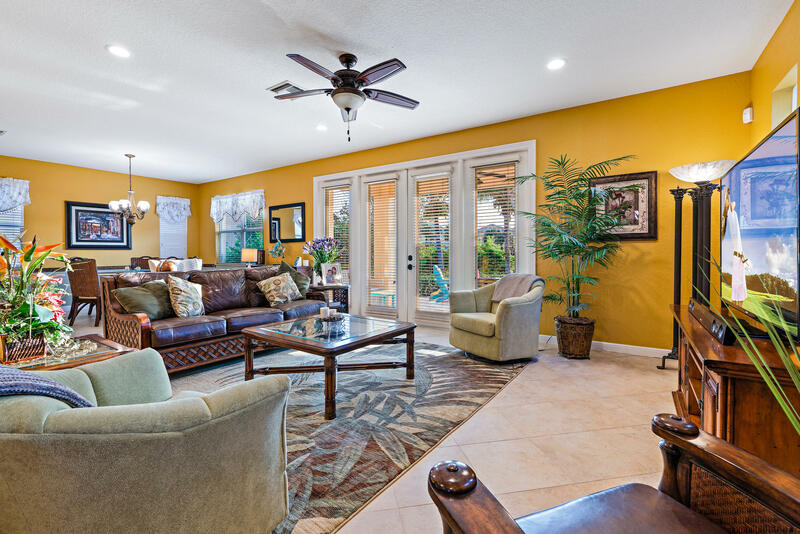 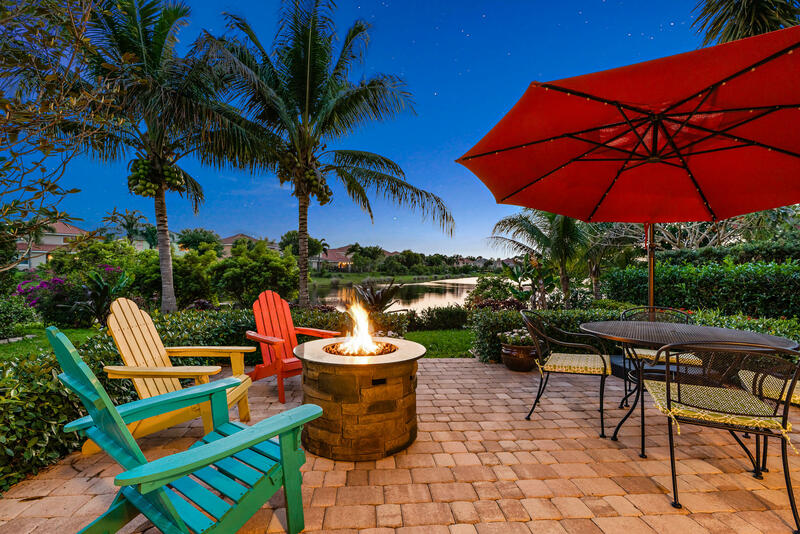 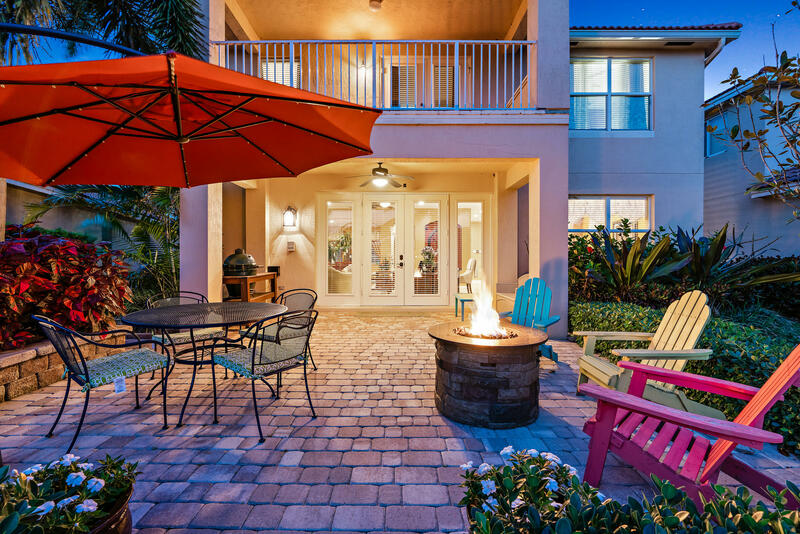 The covered lanai and extended paver patio provide plenty of room to entertain. 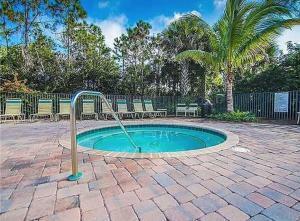 Room for a pool if desired. 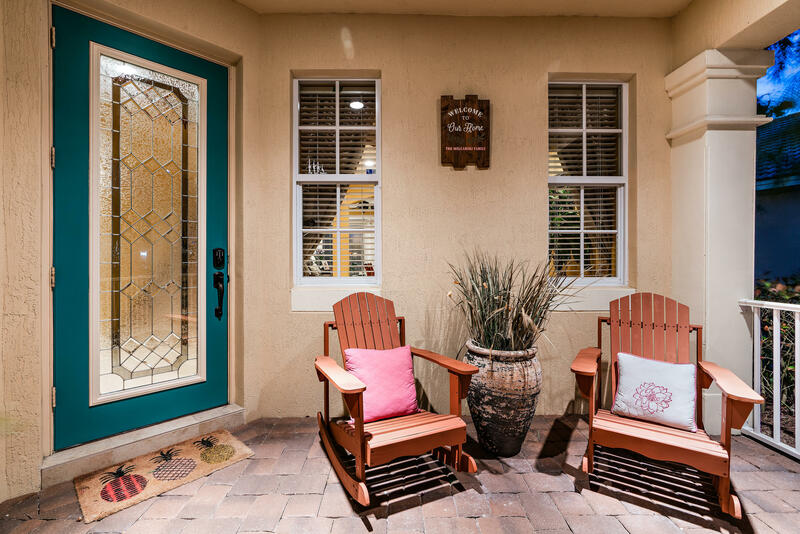 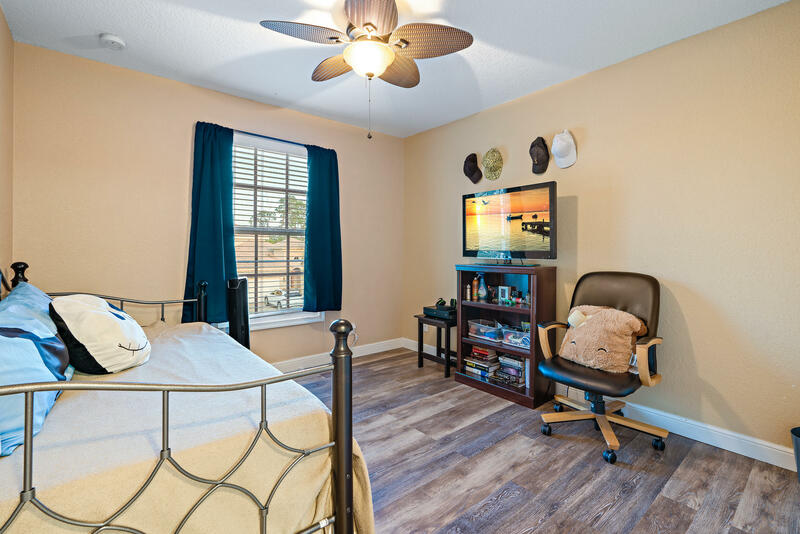 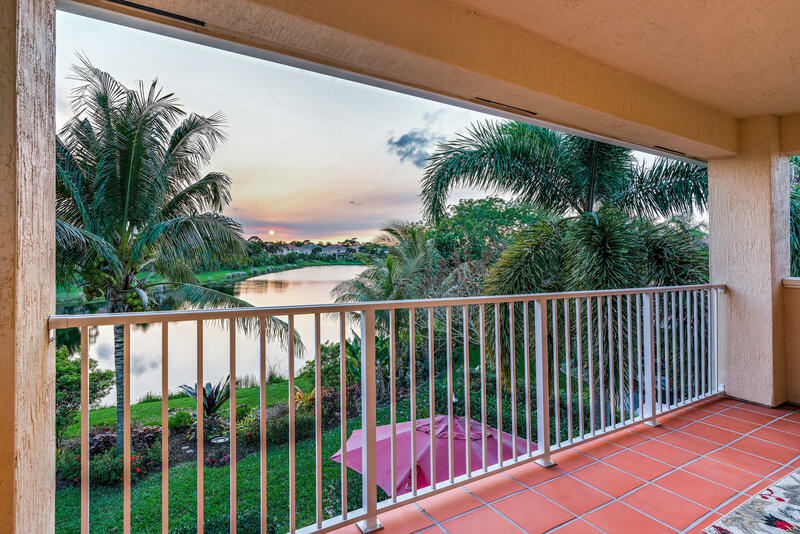 The 2nd floor master features french doors to a private balcony where you can enjoy your morning coffee or kick back at the end of the day to watch the sun set.